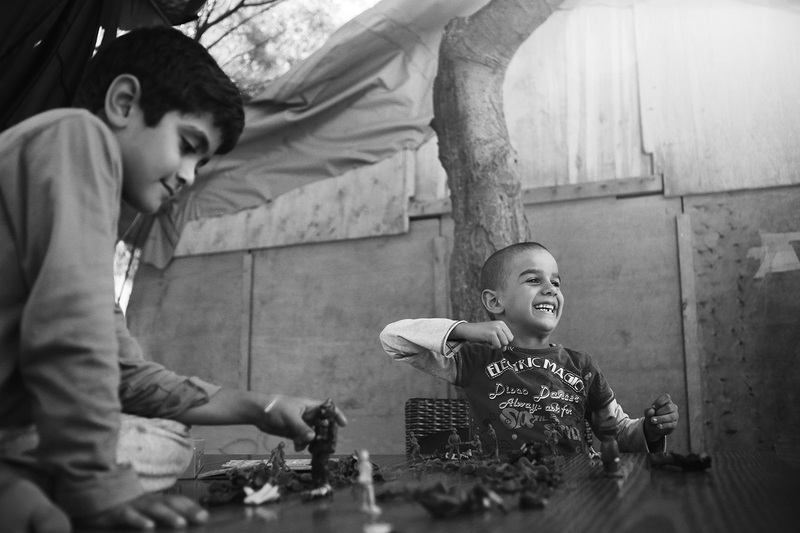 Caroline Irby – Syrian refugee children in a camp in Lesbos last Sunday. I guess they’re around the same age as my son, and I kept thinking he would love to play with them, and in many ways he would actually have loved the camp they are staying in – PIKPA is a former children’s holiday village, with a playground at its centre, loads of volunteers on hand to entertain the children, and is easily the most humane and well equipped refugee shelter I have seen. I’d have been happy to have my son with me there for a day or two; after that I’d probably start worrying about him missing school. I wonder how much school the boys in this picture have already missed, and how much more they’re going to. Syrian refugee children in a camp in Lesbos last Sunday. I guess they’re around the same age as my son, and I kept thinking he would love to play with them, and in many ways he would actually have loved the camp they are staying in – PIKPA is a former children’s holiday village, with a playground at its centre, loads of volunteers on hand to entertain the children, and is easily the most humane and well equipped refugee shelter I have seen. I’d have been happy to have my son with me there for a day or two; after that I’d probably start worrying about him missing school. I wonder how much school the boys in this picture have already missed, and how much more they’re going to. Children play in PIKPA village, Lesvos, which provides safe accommodation and a welcoming environment for particularly vulnerable refugees, including women who have lost their children during the crossing, and adults and children with physical disabilities. PIKPA village is a former summer camp, transformed in 2012 into a refugee haven by volunteers with support from the local authorities. It is community-run, and one of its founders, Efi Latsoudi, is one of the joint 2016 winners of UNHCR’s Nansen Refugee Award.